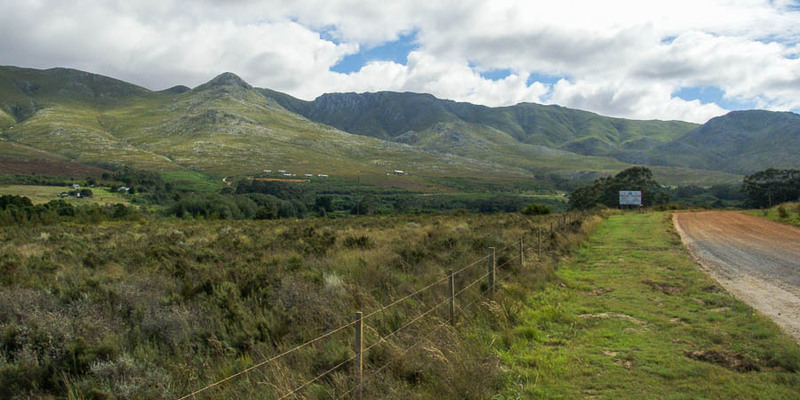 Head east towards Gansbaai and Stanford on the R43. At Stanford, turn left on the R326 towards Caledon. After approximately 7km turn left onto a dirt road, signposted to the Klein River Farmstead and Phillipskop. Follow this road past the cheese factory. At the first junction turn left and go over a drift across the Klein River. Immediately after the river turn left again. 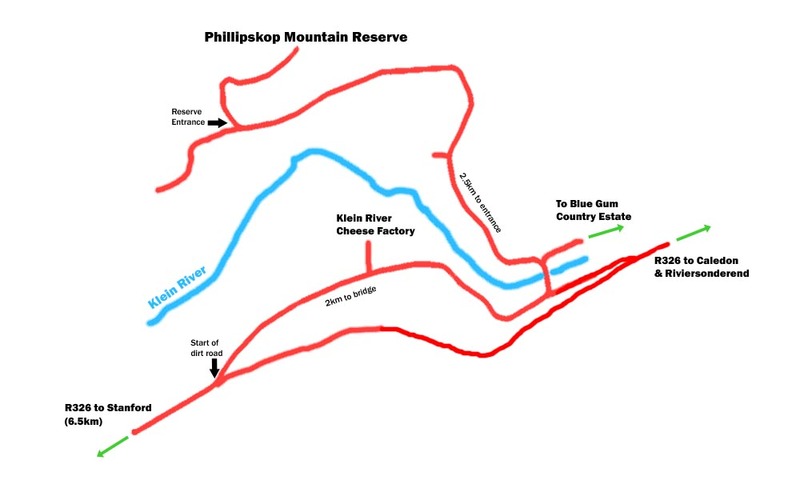 Continuing along the road, you will go past a track to a farm off to your left, drive through a Eucalyptus wood and you will then be able to see the cottages and main house of Phillipskop Mountain Reserve on the hillside above you to your right. Take the next right turn onto the Reserve – it is best to engage a low gear at the bottom, and drive up steadily but not slowly (an ordinary car is fine, you do not need a 4×4). As you head up the track, keep to the left hand fork, and drive past the cottages to the main house at the end of the track, where you will find Reception. 10km after Riviersonderend, turn off on the R326 from the N2 and follow this for about 40km. Turn sharp right at the signposts to the Klein River Cheese Factory, and then follow the directions above. At Caledon take the road through town and emerge on the R316 towards Bredasdorp. At about the 30km mark there is a crossroads with the R326, take the right turn towards Stanford. You are now following the same route as from Riviersonderend but it is only 16km to the dirt road turn-off. This route is probably quicker for anyone coming from Cape Town, rather than negotiating all robots and stop streets through Hermanus. From both directions the cottages are easily visible on the hillside.